When I was asked to review a book written by a spearo from Windhoek ,Namibia I must admit that I was skeptical. However from the very first skim that I made through the pages I knew that I was going to be pleasantly surprised… and I was. This chapter describes the psyche of the typical spearo and pays tribute to some of the diving greats that have made the sport what it is today. For any new spearo this chapter is a must as it explains what gear is needed and why it is needed,. Far too often new spearos go to a scuba shop and buy a bunch of gear that is not applicable to diving in our condition. Please advise any new spearo to give this chapter a quick read so that they understand the equipment required this will save them time and money. This chapter is very concise and briefly introduces the more technical side of breath hold diving. It explains some of the dangers involved in spearing and mentions a number of techniques to prolong your breath hold. This chapter is probably one that everyone can take something from. It describes a number of ways to get fish in closer and explains some techniques of exploring reefs and marking hot spots. Using techniques such as the ones explained are what makes the difference between a successful outing and stories of what could have been. Here the importance of fitness is stressed and a number of good exercises are explained. There is also an exercise program that if followed will make you a better diver. Here the role of spearos on a boat is explained. It also highlights the key differences between the boats commonly used by spearos as well as a number of safety issues that are often taken for granted. A new spearo can only benefit from reading this chapter. 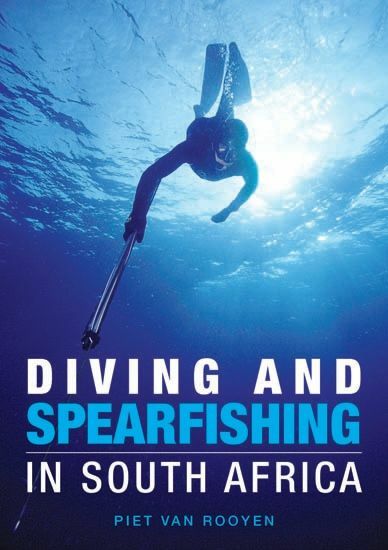 Here 22 of the most commonly speared fish in South Africa are described, this includes where and how to target them. Probably the most common question from new spearo’s is “What about the Sharks?”. Well look no further. This chapter puts sharks into context from a spearfishing perspective. There are obvious dangers when certain species of sharks are encountered, here you will find information on how best to deal with encounters and what to do in the event of an attack. Due to the diversity our coastline there are many different diving regions and each region has different attractions and species to offer. This chapter briefly goes describes the are areas with a number of personal dive experiences described by the author. Anyone venturing to a new dive location would do well to read up about the areas so that they know what conditions to expect and species to target. This chapter provides for some interesting reading and covers everything from sea snake to jellyfish and spiny fish. There is a very good section on ear trouble that so frequently ruins a divers day. The title of this chapter is self explanatory and includes all regulations such as permit conditions, restricted areas (with gps marks) and how many of each species you may target and minimum size as well as closed seasons. This chapter not only specifies how to claim a record, but also gives a list of all the current SA spearfishing records. After reading the book I know that it will not be the last time I page through it as there is just so much useful information in it. This book is definitely a must have for any new diver and even seasoned divers will pick up a few tips.